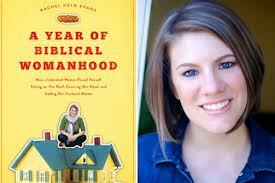 I recently had the pleasure of reading A Year of Biblical Womanhood by Rachel Held Evans. I laughed. I cried. I was inspired. I was convicted. But most importantly, even though I do not hold particularly conservative values, my eyes were opened to the radical nature of Scripture that calls women of every walk to do amazing things for the kingdom according to their abilities and circumstances. The book is Evans’ retelling of a year-long experiment undertaken to live according to the principles of “biblical womanhood.” Being from Alabama, I’m sure she had no trouble finding a plethora of opinions on what a “biblical woman” ought to be. If these voices impressed upon her, she pays them little heed as she delves honestly and vigorously into 12 different aspects of biblical womanhood (one for each month of the year.) From gentleness to purity, from submission to silence. Evans’ fortitude is impressive as she imposes these sometimes ancient ideals on her modern life. She struggles particularly with the Proverbs 31 woman, whom she discovers is not an archetype at all, but praise for valorous women everywhere with any of these qualities. Evans certainly deserves an eshet chayil shouted her way. At the end of her experiment and the book, Evans writes a list of ten things she takes away from this season of her life. The final one is compelling. Keep loving, studying, and struggling with the Bible–because no matter how hard I fight it, it will always call me back. The Bible isn’t an answer book. It isn’t a self-help manual. It isn’t a flat, perspicuous list of rules and regulations that we can interpret objectively and apply unilaterally to our lives. The Bible is a sacred collection of letters and laws, poetry and proverbs, philosophy and prophecies, written and assembled over thousands of years in cultures and contexts very different from our own, that tells the complex, ever-unfolding story of God’s interaction with humanity. 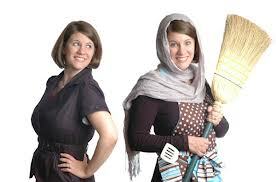 A woman who endured levitical purity laws, kept silent in church, covered her head while praying and prophesying, kept modest dress, and called her husband ‘master,’ found the depth of character not to cast aside the Bible as an antiquated text, but instead, with a better understanding, to embrace it as the story of God’s love for us. She cautions us to approach the text with a “prejudice of love.” She rightly points out that “proof-texts” can be found about any issue we wish to support or decry. But if we approach Scripture with love, we will certainly find the heart of God. And that was the whole point to begin with, wasn’t it? This review can never do justice to the grace and wit found in A Year of Biblical Womanhood by Rachel Held Evans. Go get the book and read it for yourself! Let me know what you think!